What is prominent ear correction? Prominent ear correction reduces the amount ears stick out from the side of the head, making them a less noticeable feature of someones face. In children this is usually performed under general anaesthetic, however in adults it can be done under local anaesthetic. A cut is made behind the ear, which is well hidden from view once the wound has healed. There are several techniques which can be used. I prefer a suture technique in which stitches are used to reshape the cartilage of the ear, and to pin the ears closer in to the head. Occasionally I remove a small piece of cartilage or "score" the cartilage to help it bend, but this is always combined with sutures. At a very young age (weeks to months after birth) some people do have success with applying splints to their babies ears to reshape the very soft cartilage at this age. 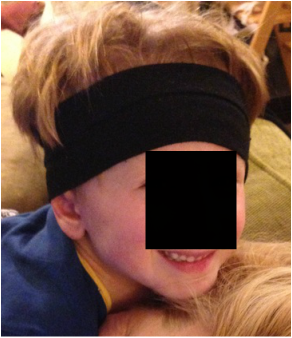 However it takes committed parents to perform the splinting, and even so there is no guarantee that it will work (see the above photo of my son's ears in whom splinting as a baby failed). Why should I (or my child) have surgery? There is no medical need to have surgery. As an adult you must decide if you want the change in your appearance that prominent ear correction will give you. As a parent you must decide if this appearance changing surgery will benefit your child in the long run. 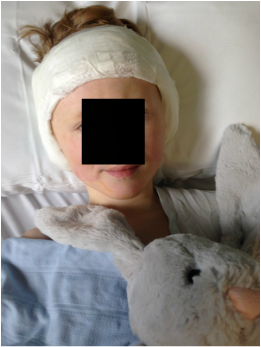 Talking as a parent who has had his sons prominent ears corrected, there were a number of reasons why we decided to go ahead with surgery. Our sons ears were certainly one of the first features that you noticed about him. Although it was quite a cute feature in a young boy (however you see we still kept his hair long over them), we believe that he would have disliked his ears as he grew up. 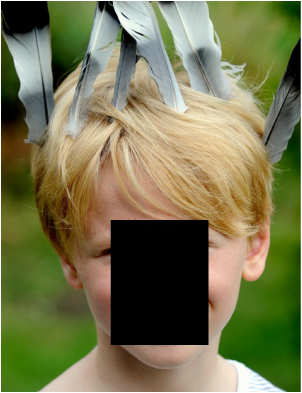 Older boys at school had started to make comments about them and, although they were not openly teasing him, we think that this would have happened as he grew up. Some children handle this well, and our son probably would have, however we did not want to chance it possibly crushing his self-confidence. In addition his ears were quite different in shape. His ears now don't dominate his face, and sit back much more harmoniously with the rest of his features. Many thanks to Mr Neil Bulstrode for performing the surgery for us. This depends somewhat on how much the ears need to be set back. However I would normally apply a hand bandage for up to a week after surgery, and then ask for a head bandage to be worn at night for 6 weeks after surgery. No contact sports (and I include swimming in this) can be played for 6 weeks after surgery. However with a swim cap or swim headband on, swimming may be safe after 2 weeks.